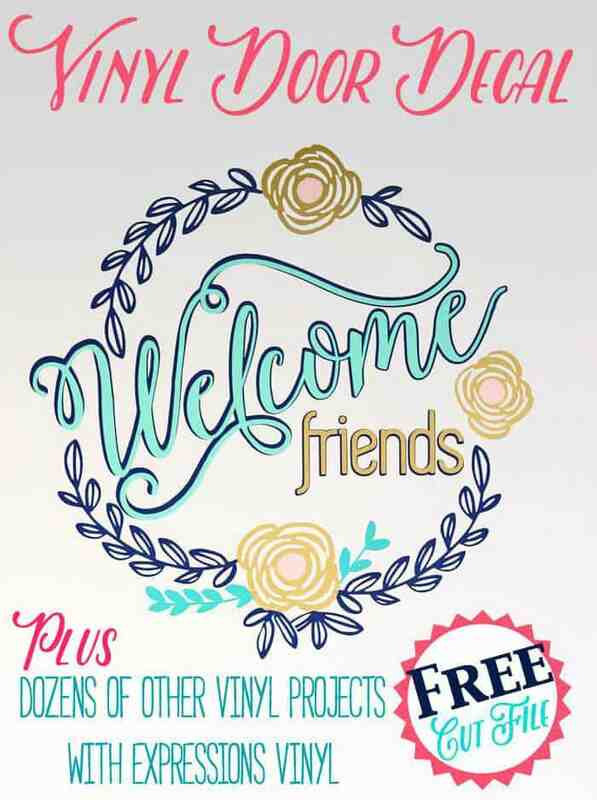 I’m so excited today that I’ve been asked to team up with Expressions Vinyl and dozens of other bloggers to share tons of vinyl project ideas with you! 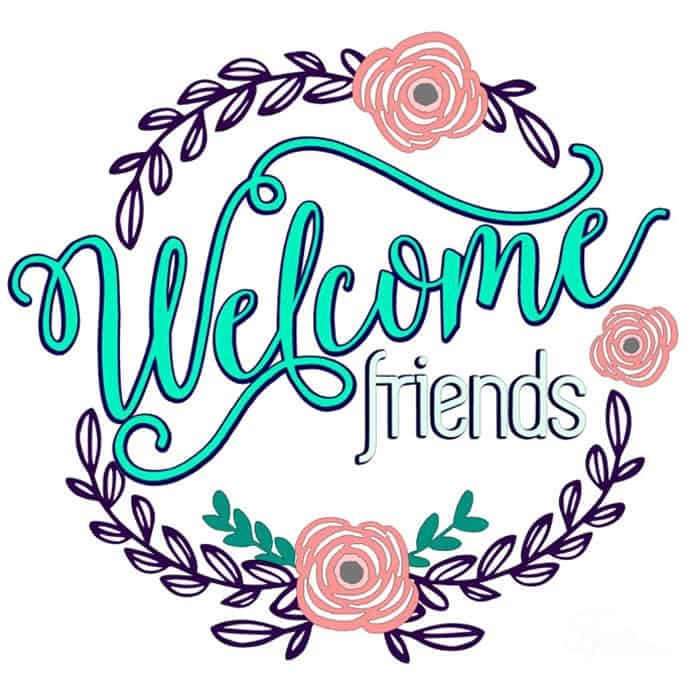 You all know how I love to make a wreath, but today’s Welcome Friends Vinyl Door Decal really takes the front door wreath to a new level! 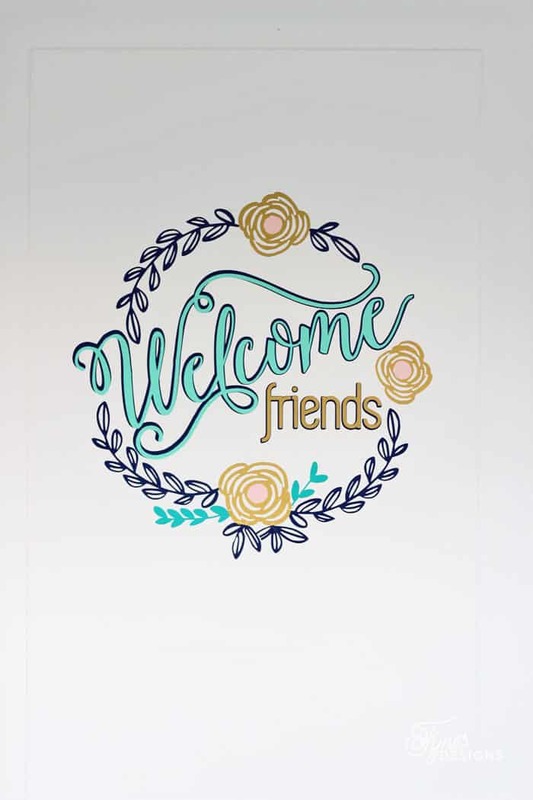 Not only will you get so many ideas how to use your Expressions Vinyl, but I’m giving you this Welcome Friends Door Decal Silhouette cut file for FREE!! You can learn how to layer the vinyl pieces in this post. It is so easy, and really adds a professional look to your vinyl creations. 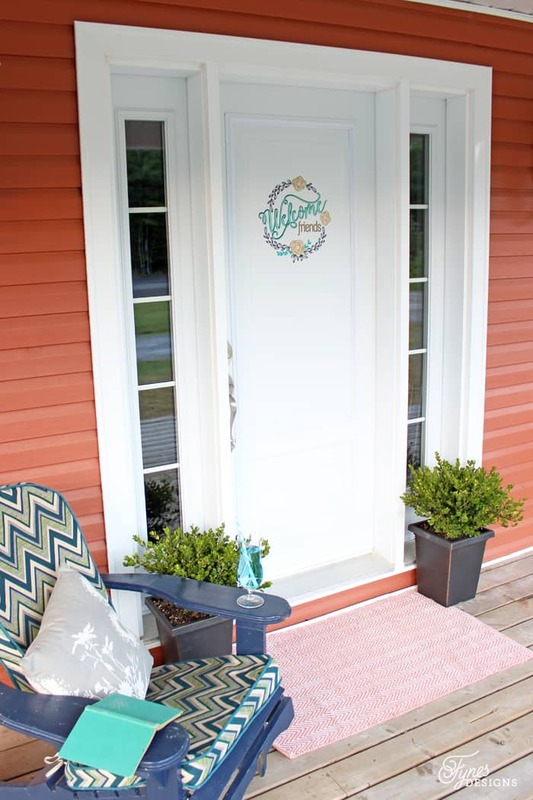 For this project I used Outdoor Adhesive Vinyl in Mint, Steel Blue, Soft Pink, Gold, Turquoise, and Cloud White. Expressions Vinyl has so many colors to choose from, the possibilities are endless! 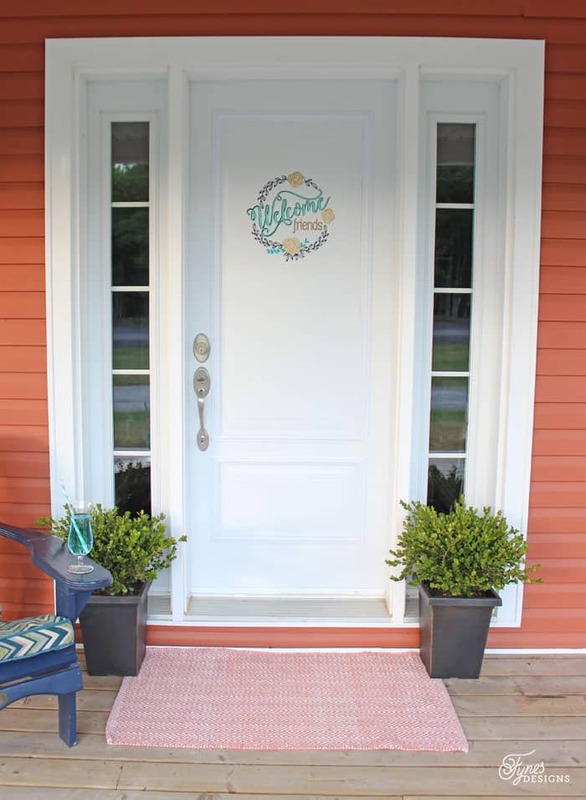 Isn’t this vinyl door decal cute? I have a flat panel door, but the pieces can definitely be worked to fit in between panels on a standard 6 panel door too! I cut the pieces on a 12 x12 mat with the Welcome diagonal on the page, but you could certainly go bigger or smaller with the design. Disclosure- This project was brought to you in part by Expressions Vinyl. Their product rocks, and I only love to share the best with you! Thank you so much for the beautiful file! Thanks very much for sharing … it’s a so beautiful design ! I so need this for my front door! Especially since we have horrible winds here always blowing my wreaths off! This is so elegant! I love the colour combination. You are so talented. Thank you for sharing!